NOTE ;Frozen mixed berries needed time to thaw and drain so I placed them in a big sieve before I started with the rest. The berries dried out by the time I assembled the dessert. 2. In a bowl of electric mixer, beat egg whites on high until frothy, about 2 minutes. Reduce the speed and while running, gradually add sugar, one tablespoon at a time. Be sure to scrape down the sides of the bowl to make sure the mixture is properly mixed. 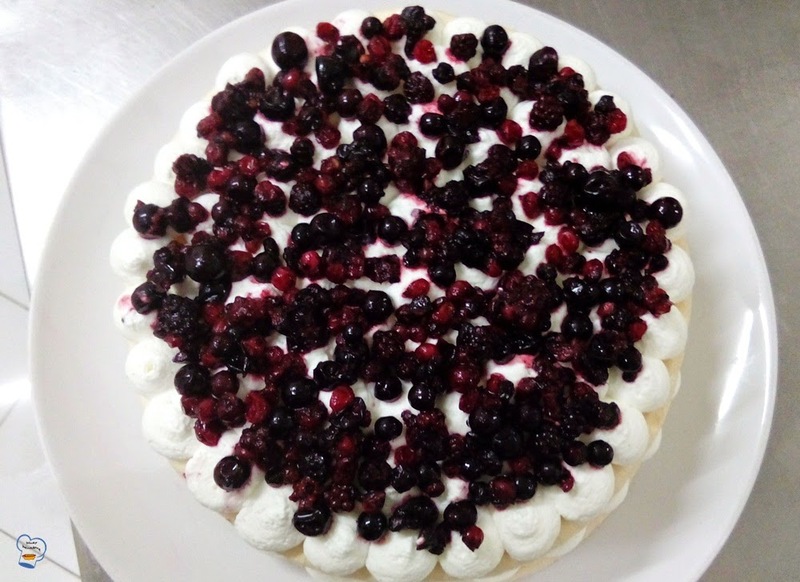 Increase the speed and continue beating until meringue is smooth and glossy and the sugar is completely dissolved. Add a teaspoon of vanilla. 3. 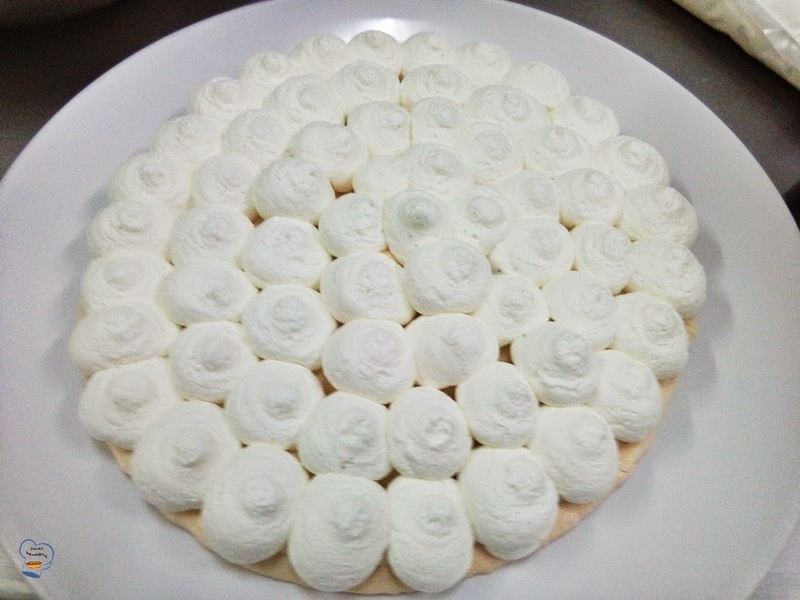 Place the meringue in a piping bag fitted with a 12 mm round piping nozzle. 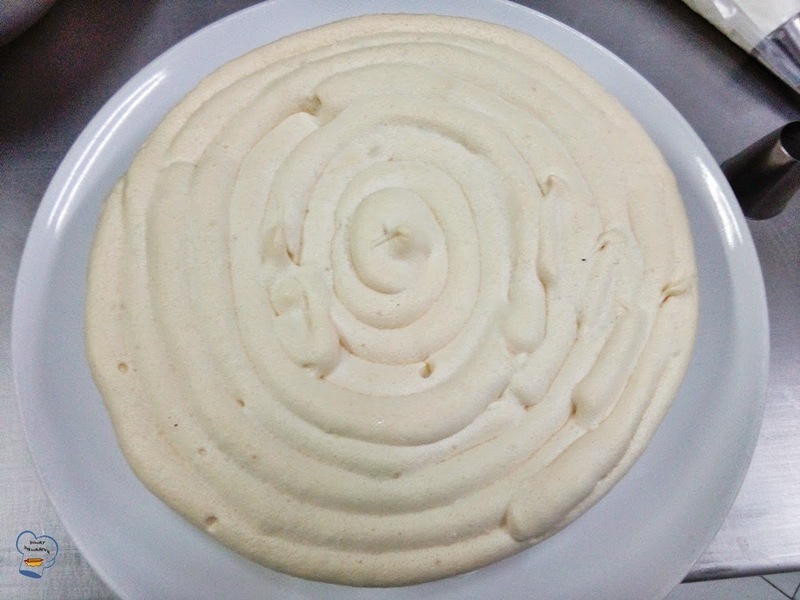 Pipe the meringue to fill in the circle on the baking paper. 4. Bake for 2 - 2 1/2 hours, rotate the baking sheet halfway through baking. Turn the oven off and let cool in oven completely. 5. Beat cream with icing sugar and the remaining teaspoon of vanilla until stiff peaks form. 6. 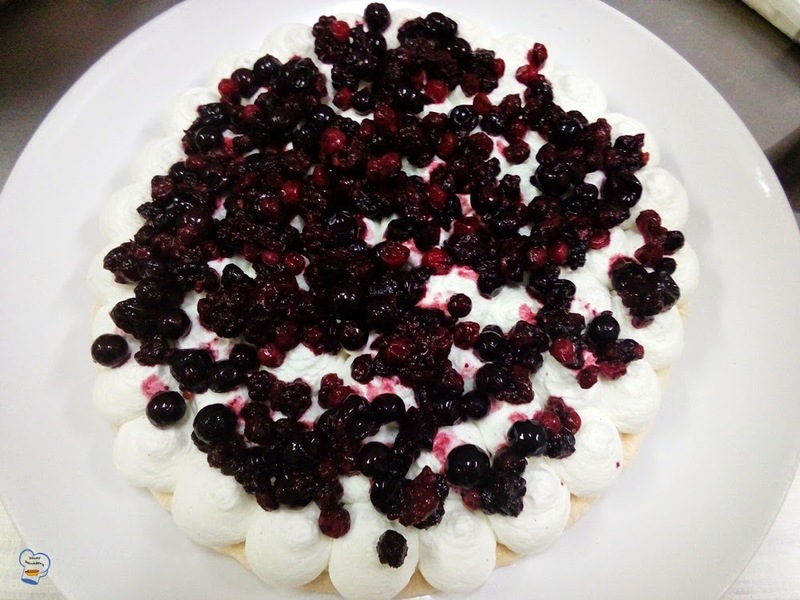 Place meringue in a platter. 7. Place the whipped cream in a piping bag fitted with a 20 mm piping nozzle. Pipe half of the whipped cream on top. 9. Repeat the process until everything is used up. 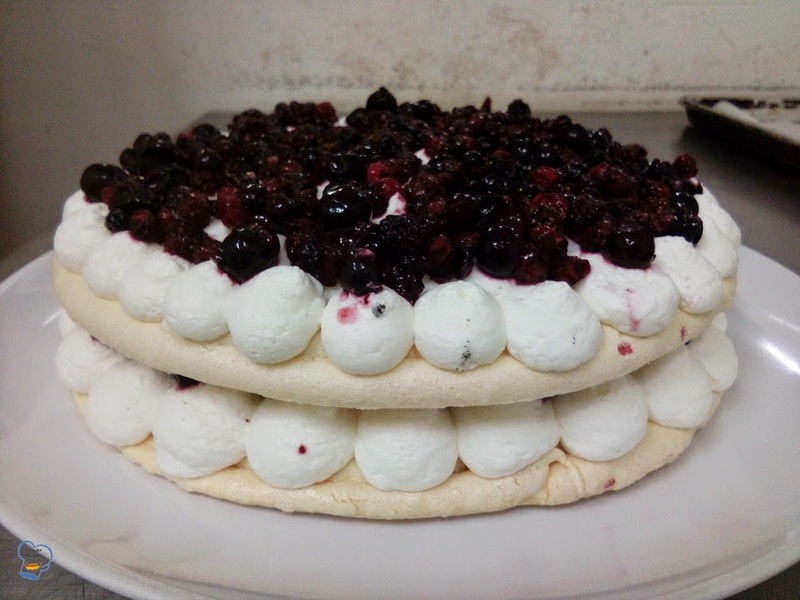 Meringue on the base,then the cream and the mixed berries on top. Serve and enjoy. I had one slice. I was mesmerized and so was the owner and all the other staff who tried it.The soft whipped cream complemented the nice and crisp meringue. 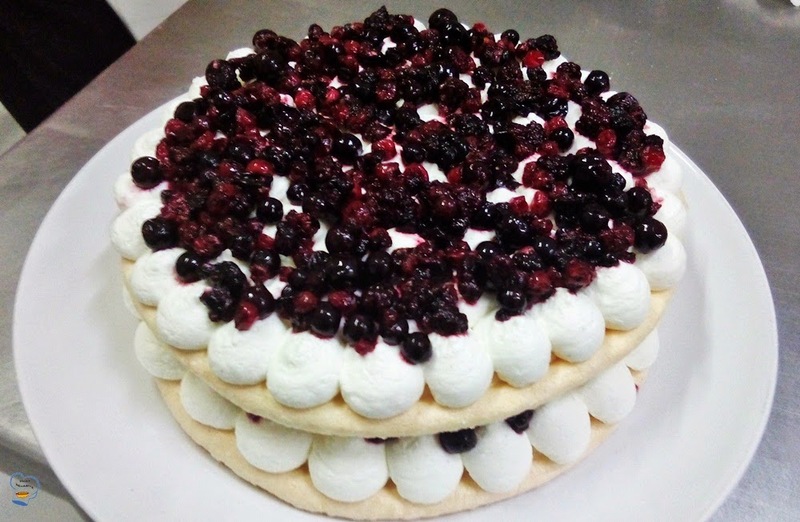 The tart berries balanced out the sweetness. Simply divine.